Stripe Sweatshirt Just $21.99! Down From $37! FREE Shipping! You are here: Home / Great Deals / Stripe Sweatshirt Just $21.99! Down From $37! FREE Shipping! TODAY ONLY! 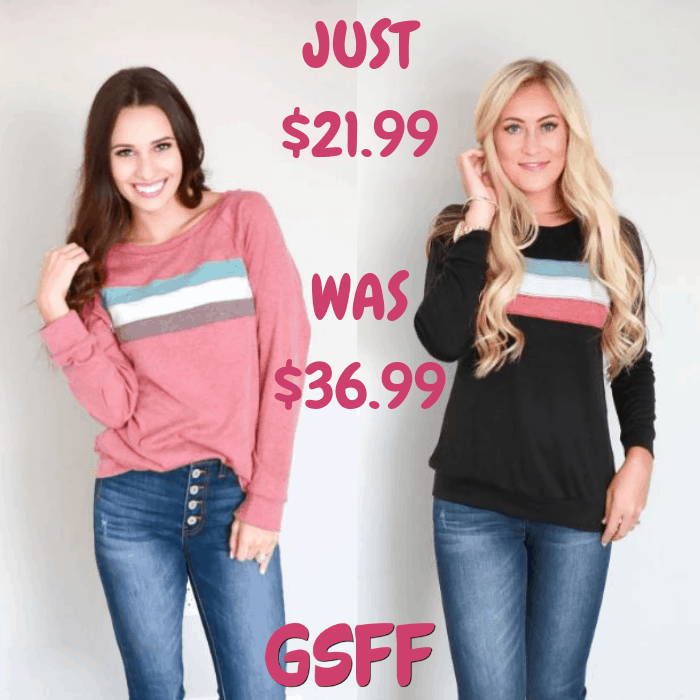 Hurry over to Jane where you can score this Stripe Sweatshirt for just $21.99 down from $36.99 PLUS FREE shipping! This stripe sweatshirt is perfect for when you crave a comfy-chic look that still shows off your amazing style! The adorable stripes make this an immediate favorite! It’s perfect for year-round wear, and the softness is unmatched! Pair it with your favorite pair of distressed denim and boots!